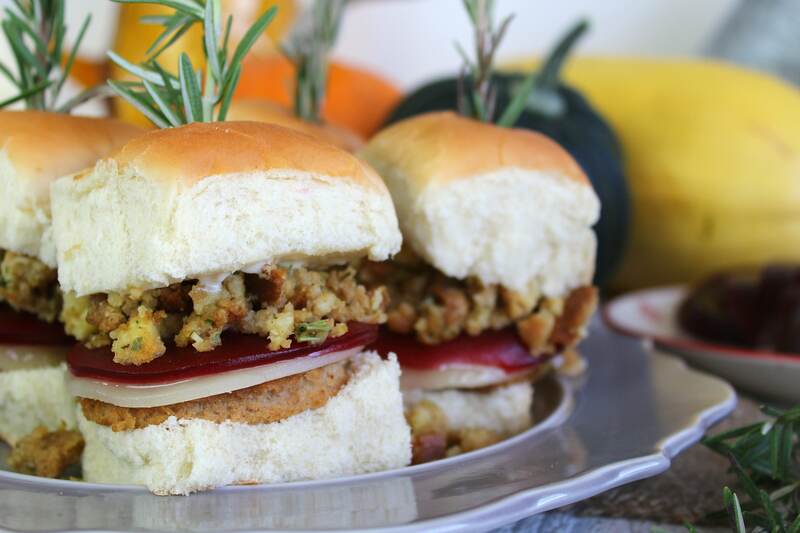 What is the worst thing that could happen regarding Thanksgiving leftovers? That’s right, the turkey is gone before the stuffing and other sides. What is a person to do? I have found the perfect solution! 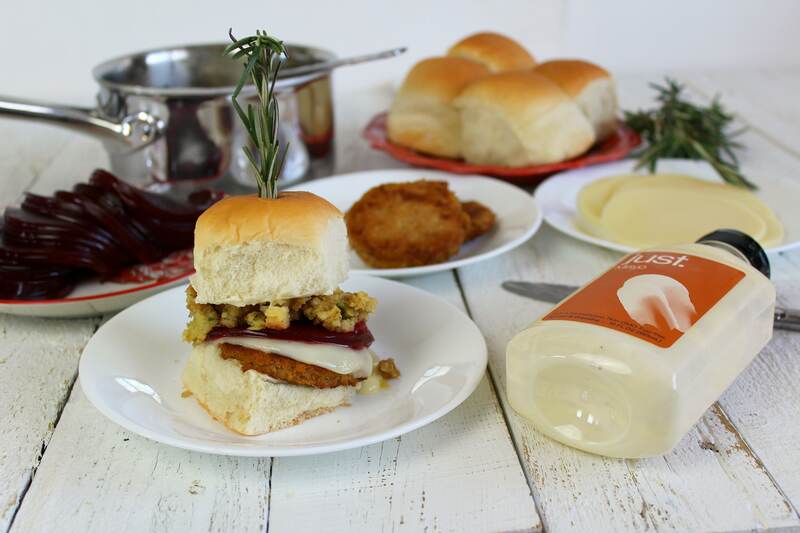 With this Thanksgiving Sliders recipe you can make use of the extra rolls, stuffing, cranberry sauce, and anything else you have leftover such as mashed potatoes and gravy. Just add a turkey burger, cheese, and mayo! A rosemary sprig looks especially cute when serving these delicious little burgers. 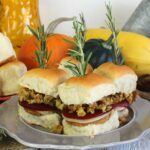 If you fancy fall flavors throughout the year and don’t have the luxury of Thanksgiving leftovers to use, the ingredients needed to make these Thanksgiving Sliders from scratch are below! 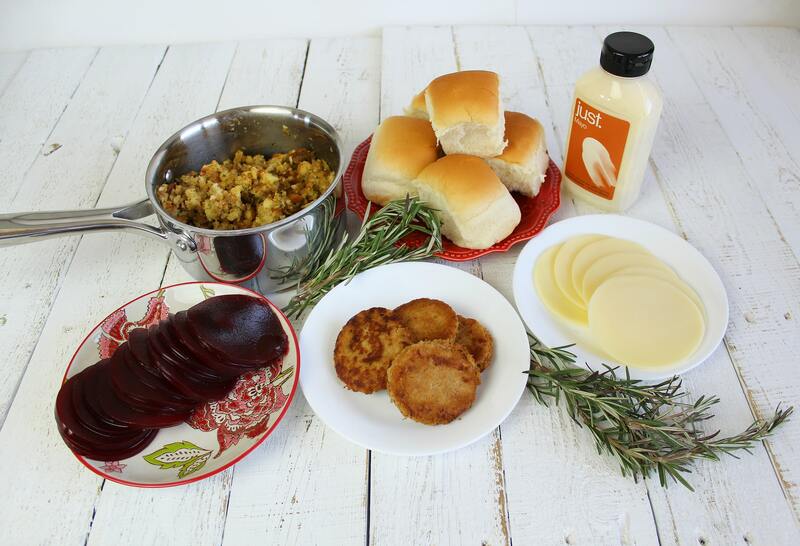 Step 1: Have all ingredients ready – turkey burgers and stuffing warmed, cheese and cranberry sauce sliced. Step 2: Assemble burgers by cutting dinner rolls in half. Add 2 tsp mayo to each inside of each roll. Next add, from the bottom up, the cooked turkey burger, slice of cheese, cranberry sauce, warmed stuffing, and the top of the bun. Serve right away! This Thanksgiving Slider recipe makes use of the extra rolls, stuffing, and cranberry sauce leftover from holiday dinners. 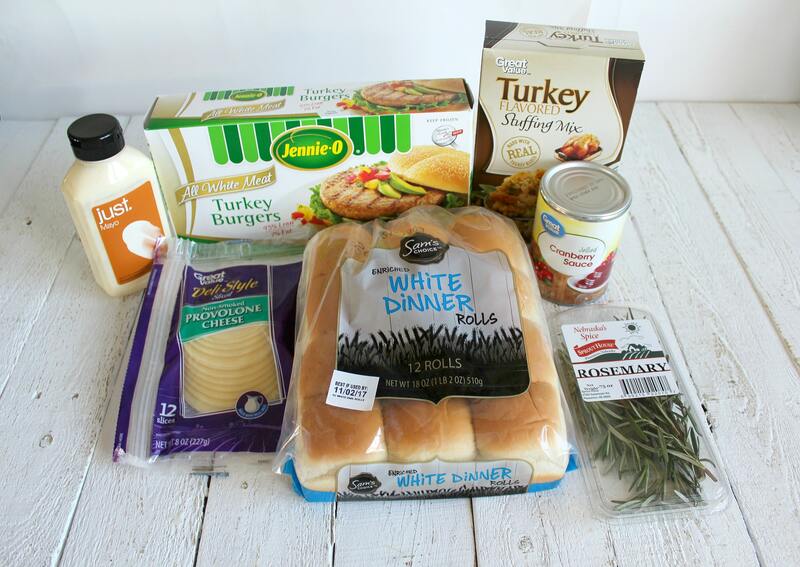 Have all ingredients ready - turkey burgers and stuffing warmed, cheese and cranberry sauce sliced. Assemble burgers by cutting dinner rolls in half. Add 2 tsp mayo to each inside of each roll. Next add, from the bottom up, the cooked turkey burger, slice of cheese, cranberry sauce, warmed stuffing, and the top of the bun. Serve right away! Pierce the rosemary sprig through the top of the bun through the slider. If your turkey burgers and cheese slices are too large for your dinner rolls, use a round cookie cutter or the top of a drinking glass to size down the burger and cheese into a slider. This is genius! I’m cooking this year which means I get to keep pretty much all the leftovers. 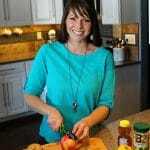 Using turkey burgers is an awesome idea! Woohoo! Sometimes there are perks to so much prep and hard work in the kitchen. 😉 These sliders are definitely one of them! Enjoy, Jaime! Hello all! Lately I have been fighting with a lot of personal issues. Friends and doctors keep telling me I should consider taking medicine, so I may as well link and see how it goes. Problem is, I haven’t taken it for a while, and don’t wanna get back to it, we’ll see how it goes.